Many engineering components are life limited by High Cycle Fatigue (HCF) caused by alternating stresses in the nominally elastic range. HCF cracks initiate after long periods of use after hundreds of thousands or millions of cycles. HCF can occur in any moving part, but is common in rotating parts such as shafts, gears, disks and turbine blades. The potential for HCF cracking that leads to expensive inspection and maintenance requirements to avoid catastrophic failure. HCF cracking occurs at critical high-stress locations that can generally be identified with finite element analysis. The critical locations can now be protected, resulting in greatly improved component reliability. 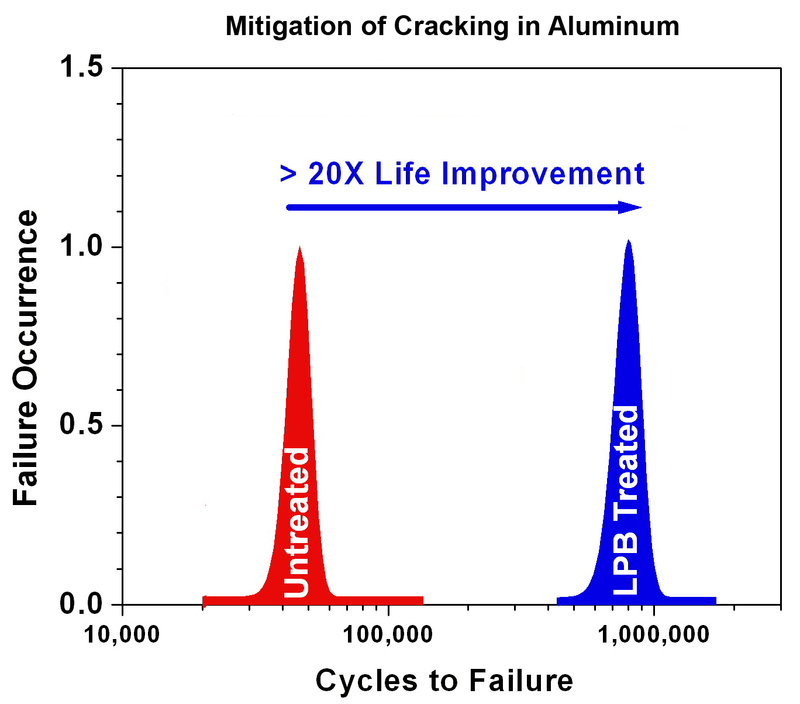 By introducing a deep stable layer of compression that retards or even eliminates crack initiation and propagation at the high stress areas, LPB can mitigate high cycle fatigue, greatly enhancing the service life and fatigue performance of a part. 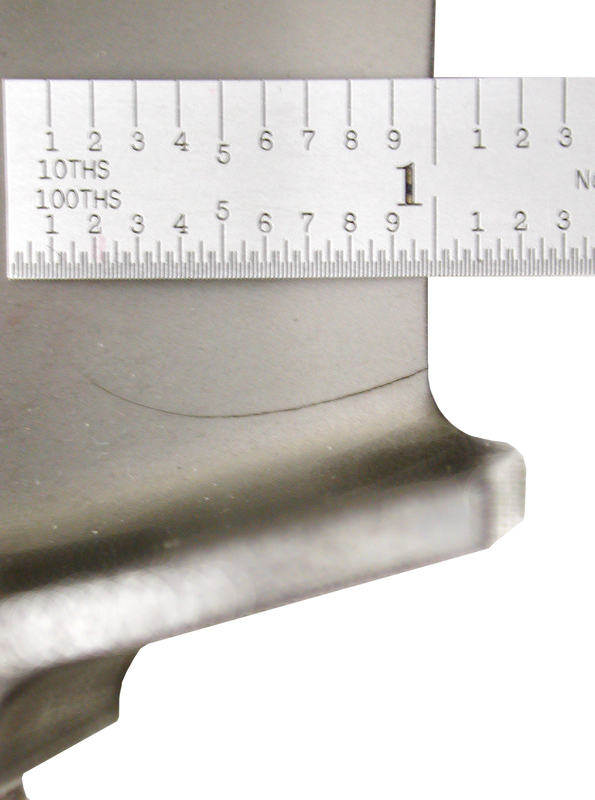 Using caliper tooling, LPB can produce through-thickness compression in thin sections, such as the leading or trailing edges of blades and vanes. The zone of high compression can extend back a significant distance from the edge, providing orders of magnitude increase in damage tolerance. LPB has been accepted by the FAA for both aircraft engine and structural applications. Lambda has processed over ten thousand airfoils to eliminate failure from foreign object damage (FOD) induced HCF, extending component life in aircraft engines without changing either the alloy or the design of the component. The components remain original OEM parts, but with greatly improved damage tolerance and fatigue performance. After years of service, not a single LPB treated parted has failed. For a demonstration of how Low Plasticity Burnishing can safely mitigate high cycle fatigue, please contact us by phone at (800) 883-0851 or send us a request email here.